Physical characteristics: House sparrows are short and stocky birds with very short legs and thick bills. Male house sparrows have a gray crown (top part of head) and cheeks edged with chestnut, a chestnut nape (back part of neck), a black bill, and a usually small (but sometimes larger) black bib (area under bill, just above the breast) with a white moustache-like area below. They also have a white wing-bar, buff-brown back and black-streaked wings, pale gray under parts, and a gray rump and tail. Females are colored a drab brown overall with a dusky stripe below buff-colored eye brows, blackish streaked buff-brown upperparts, a dusky bill with a yellowish base that reaches to the lower mandible (lower part of bill), a white wing bar, and brownish gray under parts. Juveniles are similar to females but have browner upperparts, buffier under parts, and a pinkish bill. Adults are 5.5 to 6.3 inches (14 to 16 centimeters) long and weigh between 0.7 and 1.4 ounces (20 and 40 grams). Their wingspan is 9.5 to 10.0 inches (24.1 to 25.4 centimeters) long. 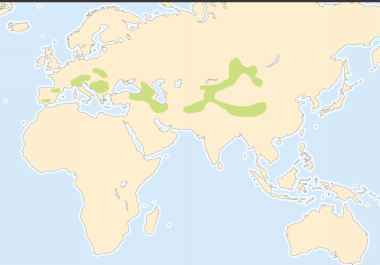 Geographic range: House sparrows are found in north Africa and Eurasia, excluding the most northern regions and the area from Japan west to Thailand. Beginning in the mid-nineteenth century, they were introduced to most of the rest of the human-inhabited world. 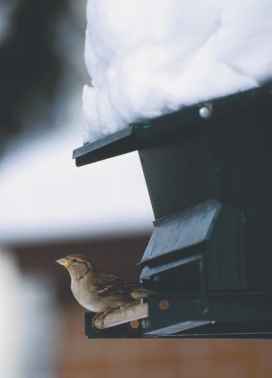 Habitat: House sparrows inhabit all areas throughout the world that are inhabited by humans. They often breed and winter in towns, cities, and farmlands. The bird is not usually found in woodlands and forests that have dense foliage. Diet: They eat seeds (especially weed seeds), household scraps, insects, caterpillars, grains, and fruits, mostly from the ground around trees and shrubs. Most of their food comes from livestock feed. Young are fed small invertebrates (animals without a backbone). Behavior and reproduction: House sparrows are aggressive and noisy birds. They generally do not migrate, but stay in one area throughout the year in small colonies (groups of birds that live together and are dependent on each other). They prefer to live around humans. Their song is a twittering series of cheeps or chirrups. The birds sing year-round, although less often on the hottest, coldest, and rainiest days. Females sing most frequently when they are without a mate. 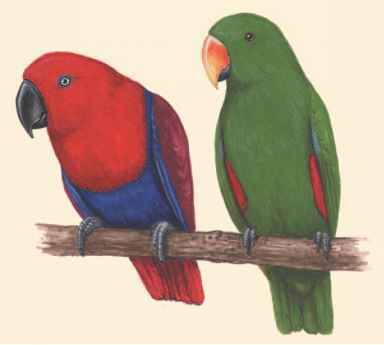 During breeding season, they join in pairs, but otherwise are found in family groups and flocks. They like to build nests in holes within buildings and trees, but also will build free-standing domed nests on tree branches. Sometimes they take nests away from other bird species. Females may lay up to five clutches (group of eggs hatched together) of eggs each year, but two to three are average. One clutch is two to five eggs. The incubation period (time to sit on eggs before they hatch) is ten to fourteen days, and the fledgling period is fourteen to sixteen days. Both sexes are involved in breeding activities, but females do more of the brooding. Both parents fed regurgitated (partially digested) food to the young. House sparrows and people: People sometimes consider house sparrows pests when they feed too much on cereal grains being raised by farmers.